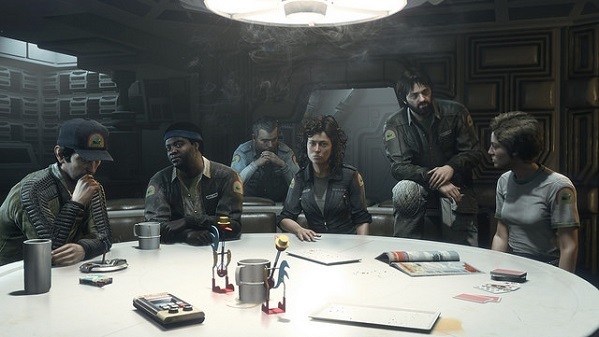 Sega has announced that all pre-orders come with a mission called "Crew Expendable" - in which you can play as either Ellen Ripley, Dallas or Parker in the moments following Brett's protracted death in the film. Additionally, the GameStop(US) pre-orders will include a mission called "Last Survivor," in which players assume the role of Ripley during an escape from the Nostromo by boarding the Narcissus shuttle. If memory serves well, this is the first project since Alien: Resurrection in which Weaver has stamped her approval for. Needless to say this feels like it's adding more cred to the release of Alien: Isolation. "It was eerie how quickly it happened," Weaver told The AP."Honestly. I had to start with this sort of sign-off, 'This is Lieutenant Ripley of the starship Nostromo.' You know, that paragraph. I felt like no time had passed. It was really strange, actually. If anything, it was more affecting to me to read it again 35 years later." 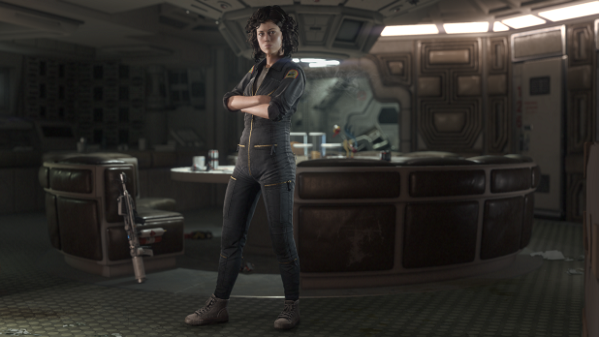 In Alien: Isolation, players take on the role of Ellen Ripley's daughter, Amanda - 15 years after the events of Alien. "Emotionally, what would Amanda want? She'd want to find her mother. She's drawn to the same line of work. There are a lot of things that were arresting to me. I have no idea what the game is like. I hope it's creepy and suspenseful and engaging in a way that other games are not - an experience." I really want to believe that this could be the 'Alien' Game we have all been wanting for years, But I've been let down so many times by Alien games that I find it hard to get too excited by this. Short clip, but definitely makes a good point. Why would you want to alert them to your position?